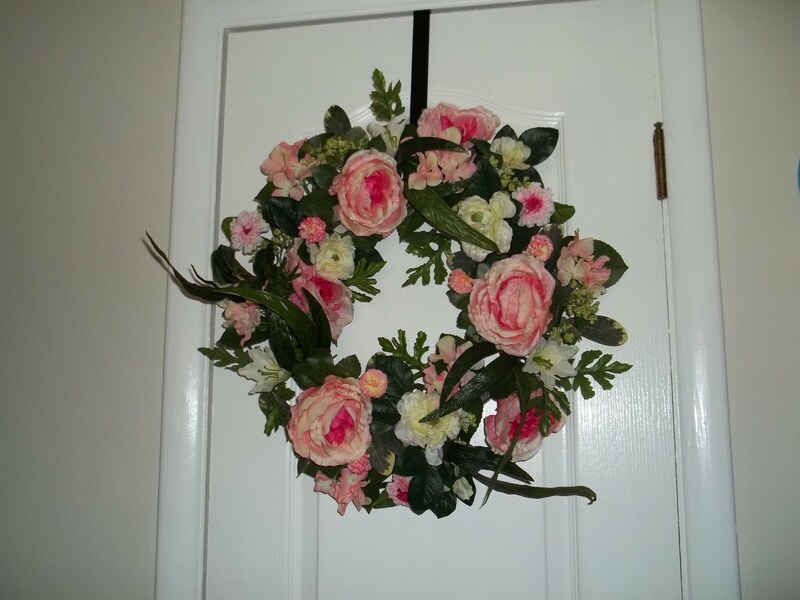 Today I am finally getting around to sharing the wreath that I have featured in my banner! 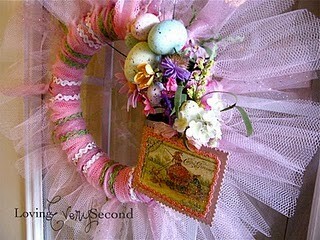 I found this cute “Lovebird Inn” wreath at the thrift store for $2! It was a little worn, but all it really needed was some new flowers and it would be perfect for our door. I’m very excited to introduce my newest sponsor to you! I first fell in love with The Baker’s Daughter when I was looking for items to feature on my blog and in Etsy Treasuries. And I’m very proud to share their shop with you! 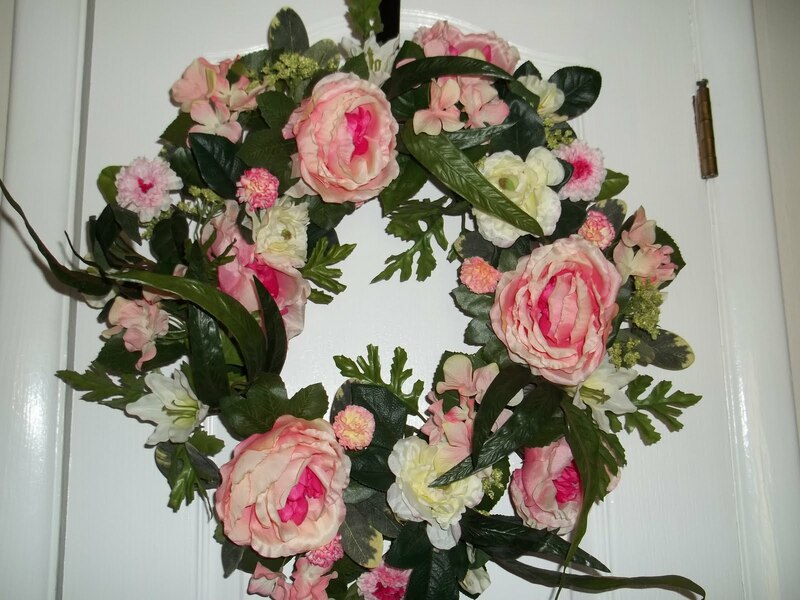 The Baker’s Daughter offers beautiful handmade yarn wreaths, wall flowers, and decor for your home. Their designs are unique and feature some bold, bright colors that you will love, and they have something for every holiday, season, and style you can imagine. If you’ve got any spring or Easter projects, don’t forget to come by and link them up for Friday Favorites so I can feature you! The last couple of years I’ve been in love with everyone’s ball wreaths! I considered making my own, but when I saw this one at Target for just $20, I decided to just buy it. To be honest, I’m sure if I’d try to make my own, it wouldn’t have come out nearly as nice. And I know I would have spent more than $20 just on the balls alone! And I’m so excited to show you how I decided to use it! So what do you think? I’m sure it may be a little bright for some, but all the colors and shine make me happy! I think pinwheels are so cute and fun for the summer! Several weeks ago while making my flag wreath, I also put this little pinwheel wreath together. Since it’s made using the scrapbook paper of your choice, it’s a very versatile project. 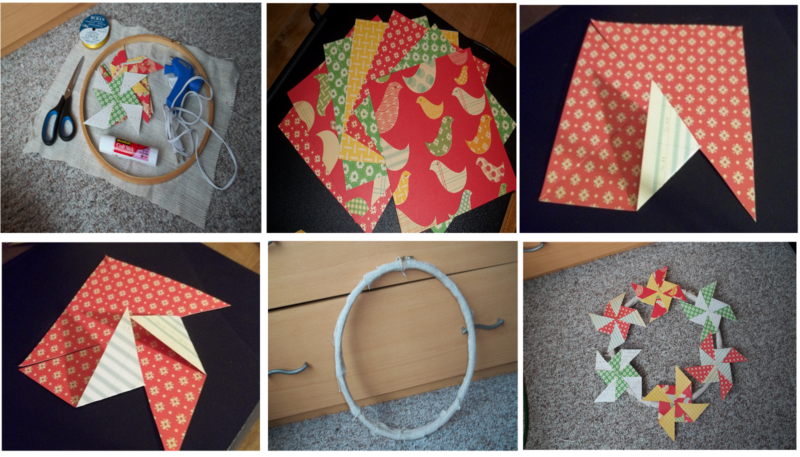 And I made fairly easy by using “flat pinwheels.” Hope you enjoy this tutorial. 3. Next cover your embroidery hoop with burlap or your choice of fabric. Use the hot glue gun to secure your fabric to the hoop. 4. 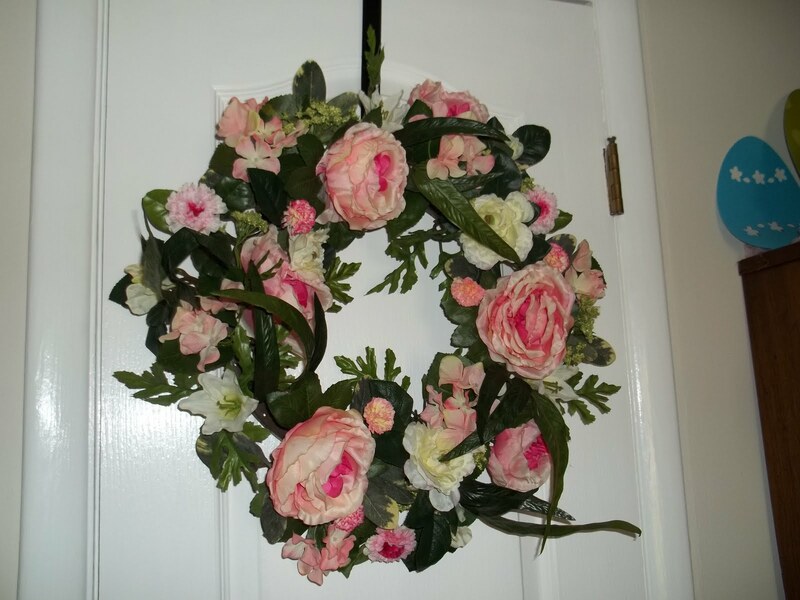 Now use your glue stick to attach the pinwheels to the wreath. 5. Finally add some ribbon for hanging, and you’re done! I’m linking up at these crafty parties and Tidy Mom. I love 4th of July! I don’t usually do any decorating for it, but I had this flag handkerchief with a couple of paint spots on it, and because I hate to throw things away, I decided to upcycle it into a nice wall hanging. This is such an easy and affordable project, I just had to share it with you! Next take your scissors and cut out the excess fabric, leaving about 1/2 an inch to an inch all the way around. Your cut doesn’t have to be perfect because you won’t see any of the excess after you’re done. After you’re done cutting, take your glue gun and glue your excess fabric to the inside of your embroidery hoop. Finally take a piece of ribbon (about 8 inches long). Loop the ribbon through the hoop. Tie the ribbon in a knot. Hang on your wall or door and enjoy! I’m linking up at these linky parties. I love the colors of spring! 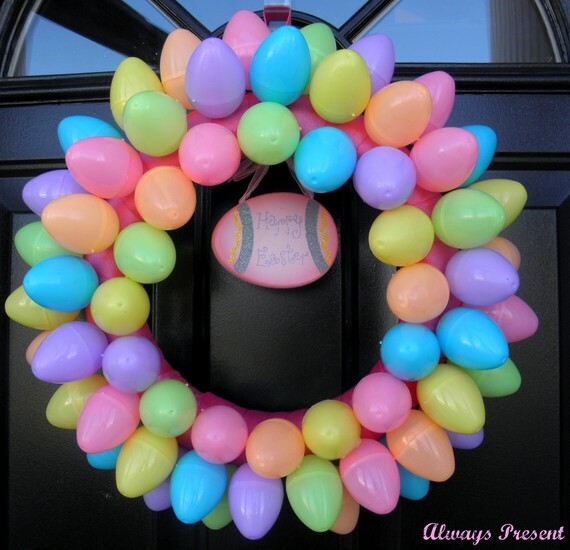 This spring I’m welcoming people in to my home with the colors of this wreath on my front door! Isn’t it pretty? And before I go further, you’re right the door in the picture actually isn’t the front door. Actually I put it up this up in the living room last month, but I moved it to the front door a couple of weeks ago for the Easter and Mother’s Day holidays. But I think, this time next month, I’m going to put it back up in the living room, as it goes with some other rose themed decor that I have. But I do have a tip! 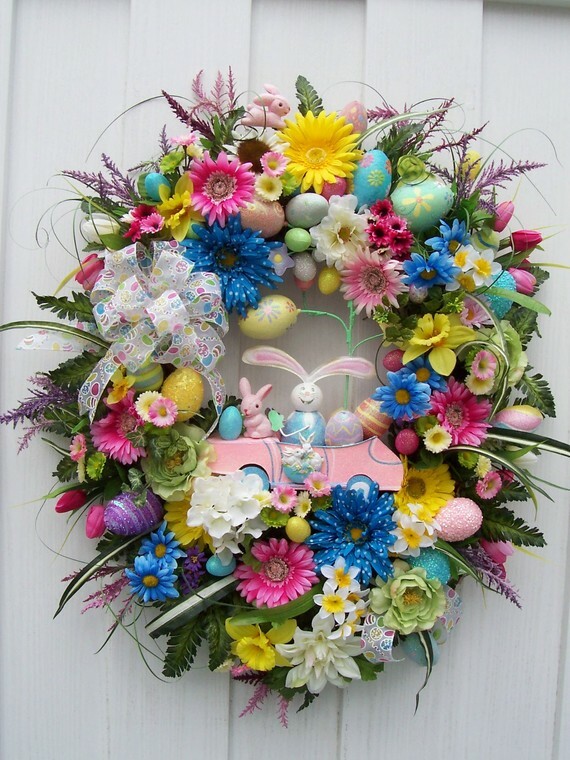 They have a lot of wreaths at Walmart that are similar to this. You can find them in the craft section with the flowers They start as low as $20 (perhaps even cheaper for something smaller), and then they go up in price from there. That’s just about the best price you can find for something new. 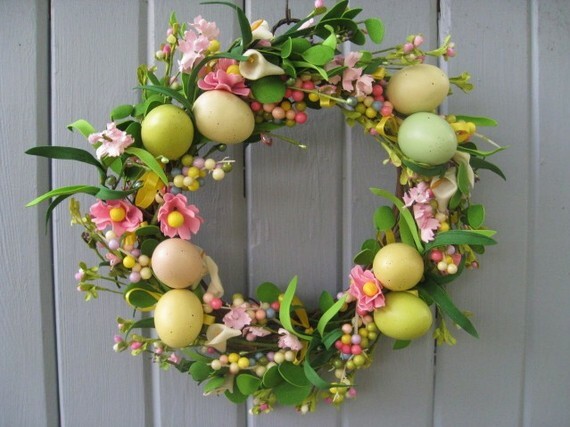 And for a wreath of this size and fullness, you can’t really beat it! 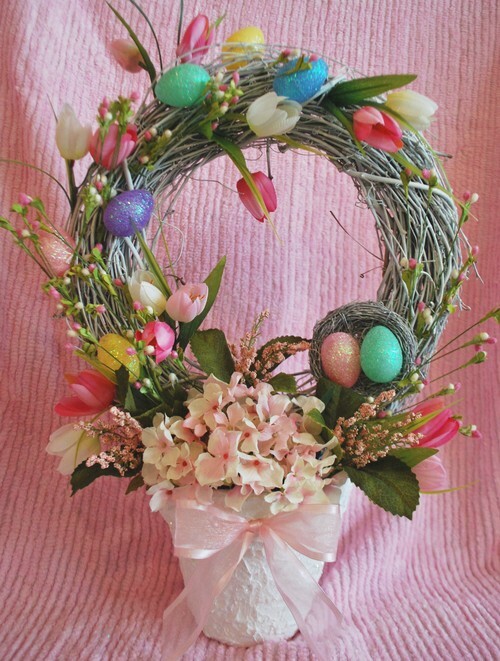 Even if you made your own, you’d spend about that much in materials for a wreath of this size The only catch is that the back of it is a plastic frame as opposed to a metal frame, but you can’t see the frame anyway, so it’s pefectly good to me! 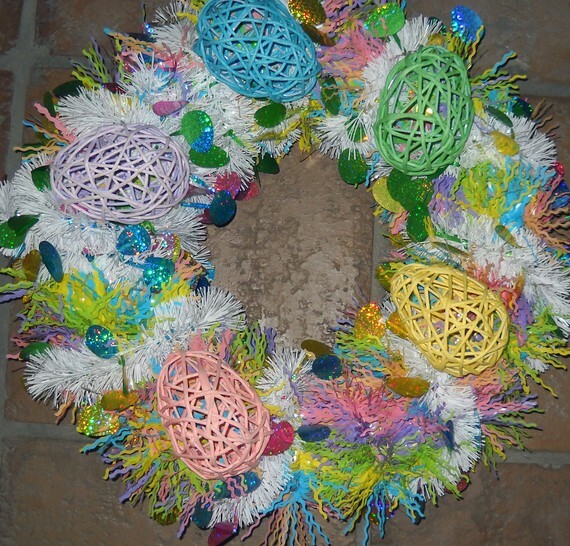 Here lately I’ve been all about wreaths! 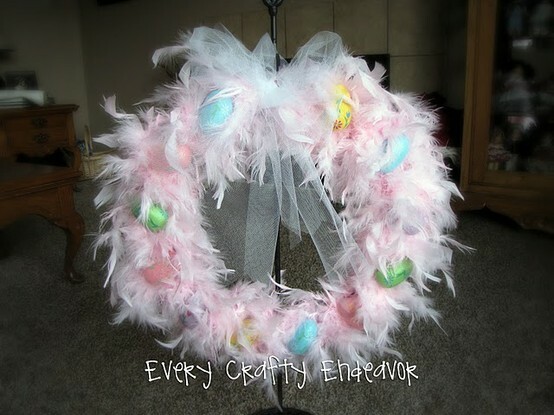 Last month I created an etsy treasury of St. Patty’s Day Wreaths as well as a Celebrate St. Patty’s Day treasury, and so this month I followed these up with a treasuy of Easter Wreaths and another called Celebrate Easter. I hope you enjoy these finds! 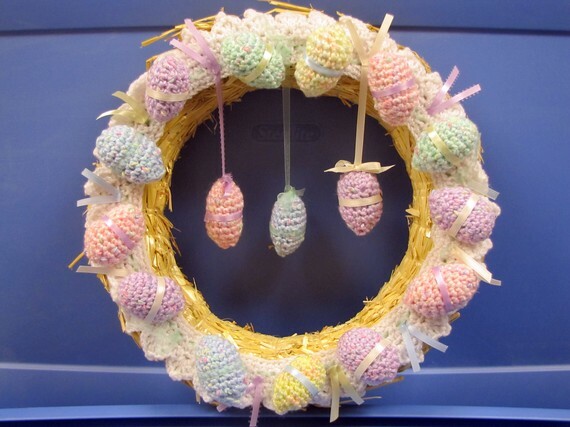 For more Easter Wreaths, please check out my treasury.